This pendant light is provided by Unitary Home World.We are a professional lighting manufacturer,and ensure that provide you the best quality and the most abundant category of lighting products.All products in factory have to undergo a rigorous safety monitoring,so you can use them safely. 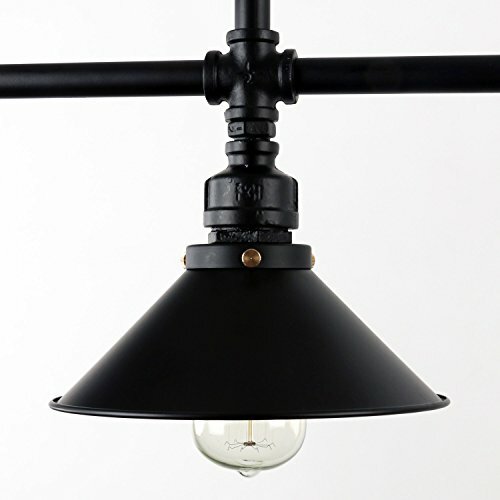 The main part of this pendant light is made of metal. Its finish is painted,and its color is black. Height of the entire light is 33.46 inch,length is 31.50 inch,width is 8.66 inch.The length of the rod is 23.62 inch.If you need the rod of different length,please send an email to us.We will try our best to provide with it. There are 3 E26 bulb sockets in total,the maximum compatible wattage of one bulb is 40W (bulbs not included),so the largest total power of this light is 3x40W = 120W. This light is suitable for the dining room,kitchen,living room,bedroom,foyer use,but this is just a suggestion,you can choose where it is installed according to your actual needs. There are all accessories and an English installation instructions in the package. 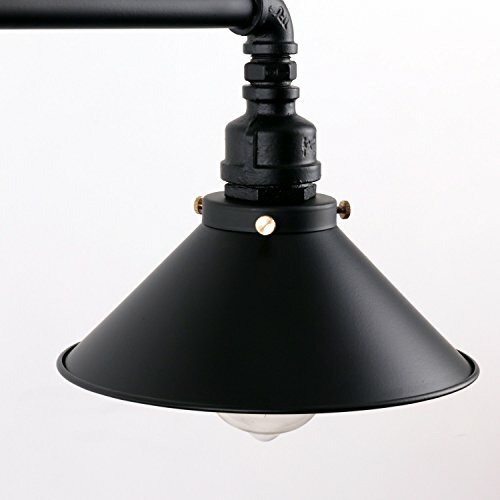 If the pendant light is damaged when you receive the goods,do not hesitate to contact us by message,we must reply you within 24 hours.If you have any other problem about the item,you also can email to us,and we are willing to serve you. We use EMS,UPS,EUB,DHL express service,after we deliver goods,usually the shipping time is 7-15 days. 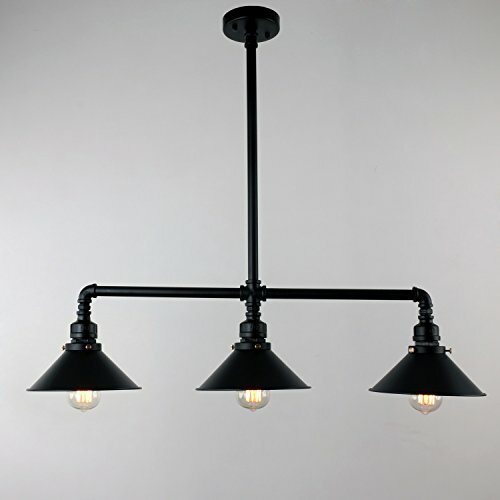 Product Dimensions:33.46x31.50x8.66 inch.Suggested Space Size:10-15Sq.m.It's the perfect light fixture to install in kitchen,dining room,living room,foyers,island,bedroom and more. Voltage:120V for North America.Max. Power:120W Materials:metal. Color:black. Style:vintage,classic,traditional. If you want to have more lightings to choose,please click our brand name"Unitary "which is under the title.Welcome to you!Thank you!